733 p., 17,9 x 24,5 cm. edited, translated, introduced and annotated by Gregor Vogt-Spira. 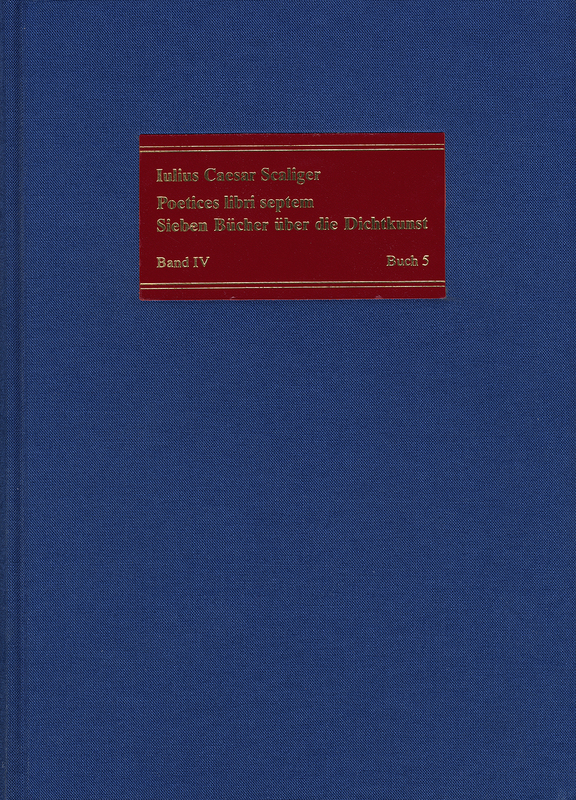 This volume contains the fifth book (›Criticus‹) of Scaliger’s ›Poetics‹. It was with this book that the practical part of a poet’s training began. Using concrete examples, Scaliger shows how the budding poet can perfect himself through emulation and the power of judgment. The comparative analysis of numerous individual passages deals initially with Virgil and his Greek role models and then shows similar sections from Roman literature. Book 5 is classic proof of the disparagement of Homer, a scandalous attitude in hindsight. Vogt-Spira has produced a well-annotated volume, to which the publisher has brought the highest standards of book production.